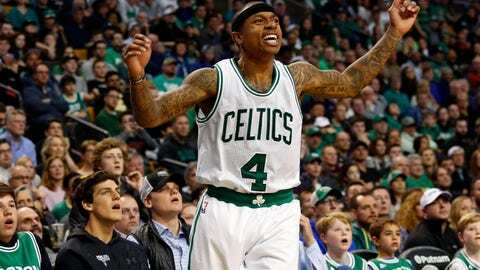 The Boston Celtics clinched the No. 1 seed in the Eastern Conference for the first time since 2008, Wednesday night, giving them home-court advantage through the first three rounds of the postseason and setting up a first-round matchup with the Bulls. Chicago is a team that made the playoffs on the back of its comically weak down-the-stretch schedule and the late-season heroics of Jimmy Butler. They're a team that's constantly in flux, and not in a good way — rotations are haphazard at best, there's little understanding or continuity evident on the floor, and there's always a political battle or two going on off it with this Bulls team. It's frankly shocking that Chicago made the postseason — the Bulls played roughly 30 minutes of cohesive basketball all season. 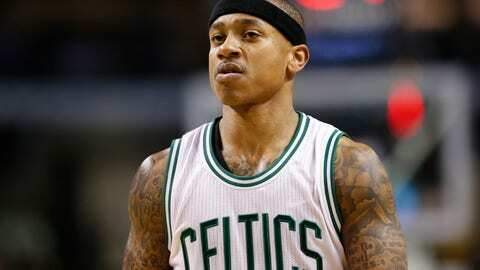 But don't be surprised if the Bulls give the Celtics everything they can handle in the first round. 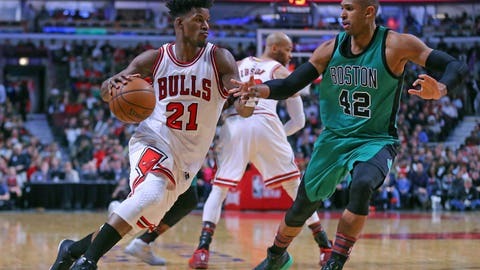 In fact, don't be shocked if the Bulls win the seven-game series with the Celtics. Because while Boston might be the No. 1 seed in the East this year, they're the worst top seed in the history of the NBA. 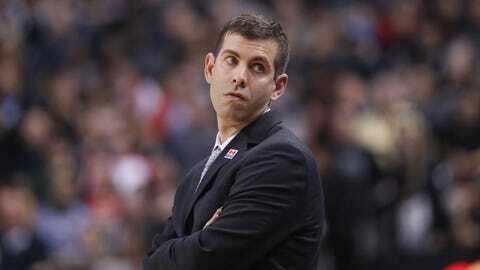 Boston won 53 games this year. That's certainly not the worst mark of a No. 1 seed in NBA history, but it's not great either. And in the Eastern Conference, they are, in more ways than their record, the best team. Boston's place as the worst No. 1 seed in NBA history could merely be a byproduct of being the best team in a pile of seriously flawed teams. And while that context is important, it doesn't matter when it comes to comparing teams throughout the NBA's history. Boston's point differential of plus-2.7 and net rating (points per 100 possessions) of plus-3.1 are the worst marks for a No. 1 seed since the 1978-79 Supersonics. Those are marks of teams that typically find themselves fighting for home-court advantages in first rounds, not having it until the Finals. And while point differential or net rating aren't perfect arbiters, there is a strong correlation between them and the strength of a team — much like run differential is for baseball teams. There are some other teams that have been discussed as the worst No. 1 seeds in NBA history: the 1999 Miami Heat, the 2002 New Jersey Nets, or the 2003 and 2007 Detroit Pistons are all strong competitors. But the Celtics finished a full point behind even the worst of those teams in net rating. The 2003 Pistons might have only won 50 games, but they had a point differential of plus-4.2 that year. The 1999 Heat had a net rating of 5.8. The Celtics' plus-3.1 isn't even in the same ballpark. And that 78-79 Sonics team — the one that had a net rating of plus-2.6? They won the title. The NBA was a much different league back then with far more parity. The worst team in the '79 Sonics' division finished with a positive point differential. The 2016-17 Celtics played four division games each with the Nets, Knicks and 76ers (they went 10-2). Despite winning the top seed, the Celtics are not the favorites to win the East, and frankly, it's not even close. The favorites, of course, are the team that has LeBron James, who has won the Eastern Conference for the last six years. The Celtics lost three of four games to the Cavaliers this year, the lone win coming on March 1, when Cleveland was without Kevin Love. 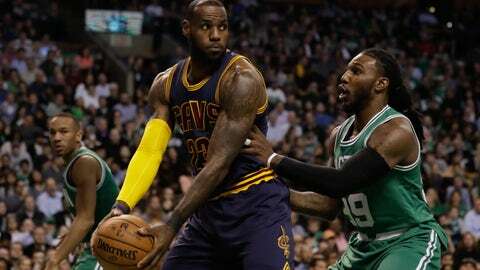 Don't take anything away from that win, though — LeBron had a triple-double for the Cavs, but the Celtics held Cleveland to 40 percent shooting and a 10-of-33 night from behind the arc. It was the kind of win that allowed people to think that perhaps the Celtics have what it takes to win the top seed (the Celtics were four games behind in the loss column after the contest) and perhaps the Eastern Conference come May. This was the point where Celtics fans and defenders would tell people that Boston's record with their best starting five (Avery Bradley, Isaiah Thomas, Jae Crowder, Amir Johnson and Al Horford), was really good and that the team's record and season stats were torpedoed by injuries. But that starting lineup (which, to be fair, finished 26-10) was on the court to begin the Cavs' smackdown of the Celtics on April 5 in Boston. Boston had momentum going into that game, but the lopsided contest firmly re-established Cleveland's dominance in the conference. Cleveland has a lot of problems — it's unfair to say that they punted the No. 1 seed because the Cavs are so bad defensively right now that it's difficult to discern if they tried down the stretch or not — but few question that they're the best team in the East going into the postseason. And those who do think that Cleveland isn't the best team in the East don't think it's the Celtics. Not after April 5. Is a first-round upset brewing? Since the NBA expanded the playoffs to 16 teams in 1984, a top seed has been upset by a No. 8 seed only five times. Since 2003, when the NBA expanded the first round from five to seven possible games, only three top seeds have been upset. Again, the eighth-seeded Bulls are a flawed team. They're miserable, in many ways, and might have been better off missing the playoffs and hoping for another Derrick Rose lottery miracle. But amid all of the NBA's first-round matchups in the Eastern Conference this year, the Bulls and Celtics have the closest point differential difference. Yes, the 1-v-8 is expected to be the tightest of the four series in the first round of the Eastern Conference playoffs. Only the 4-5 matchup in the West has less between the teams. No one — including the Bulls — knows how Chicago will play in the postseason, but the fact that the most likely true upset in the playoffs is a 1-8 matchup perfectly highlights how historically bad this Celtics team is as a top seed.